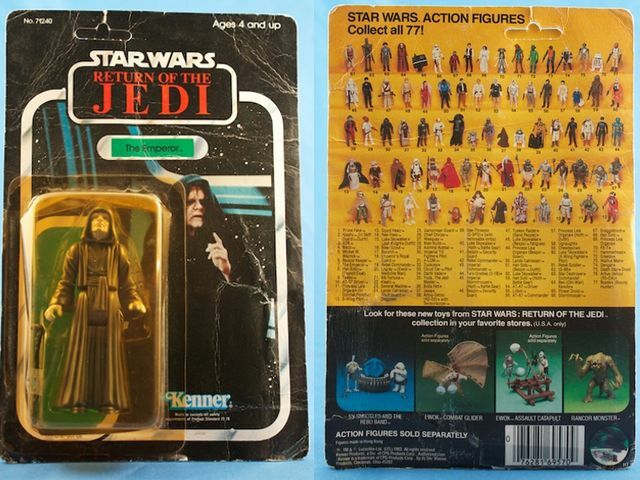 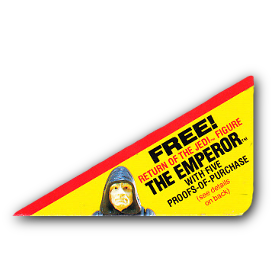 With his prominent role in the movie, The Emperor, seems like he would have been a prime choice as a debut figure in the Return of the Jedi line. However, Kenner waited and offered him as a mail away figure first. He was one of the few with the offer printed on cardbacks rather than a sticker. 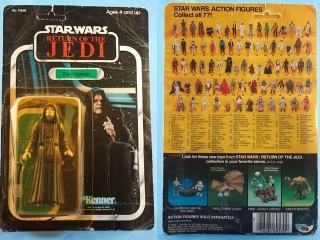 In addiation to being on the cardbacks, he was also shown in Television commercials. 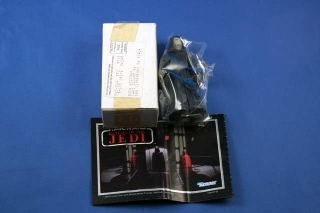 The majority, that were actually shipped, contain the Vader & Royal Guards catalog. Later versions and the very common overstock version have the Jabba the Hutt catalog. 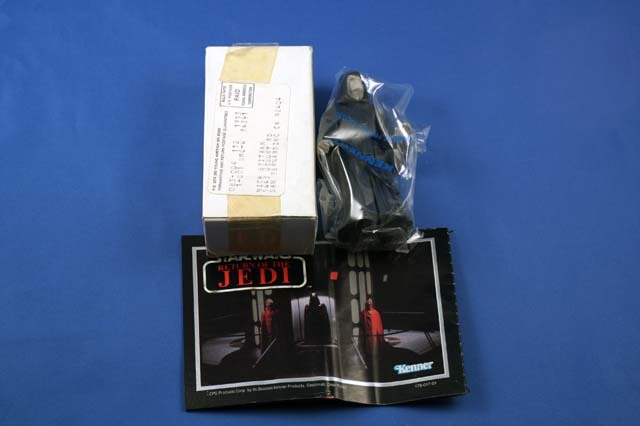 The promotion was initially very successful that there were some delays. 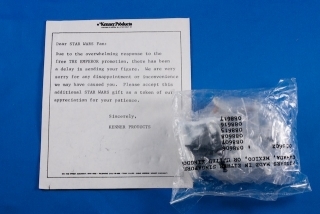 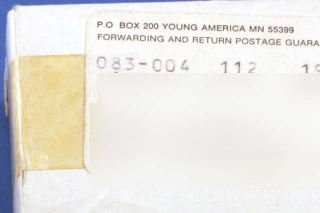 Some lucky kids, or unlucky depending on their point of view, received a little apology letter from Kenner and an additional gift of the Build Your Armies Mailaway. 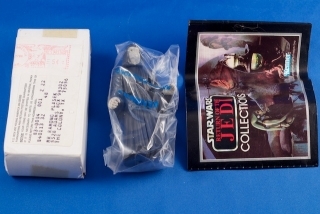 Theory: I believe that also with the demand, that some of the orders were fulfilled by sending out carded figures. 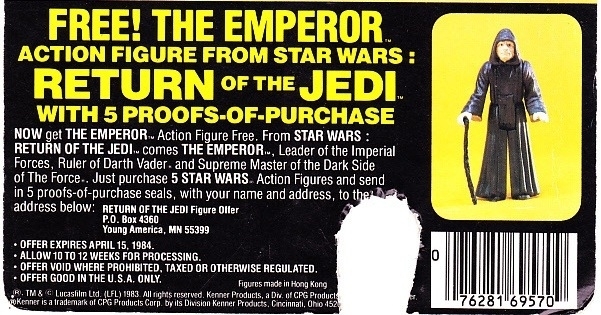 It is very common to find 77 back Emperors with the proof of purchased blacked out in marker or Void stamped on the back. 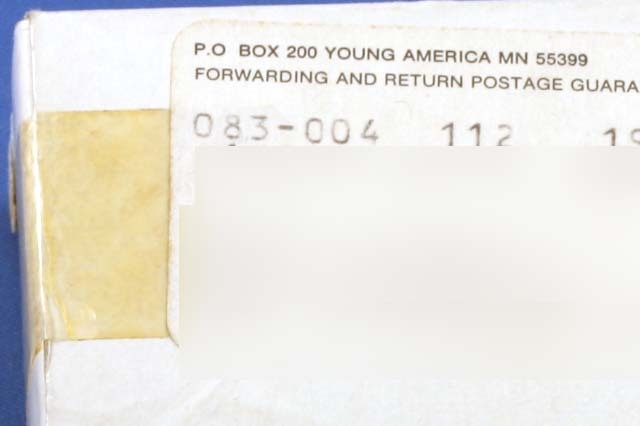 I haven’t found one of these with a mailer envelope yet to prove this, but the majority of these are unpunched and have card/bubble damage.